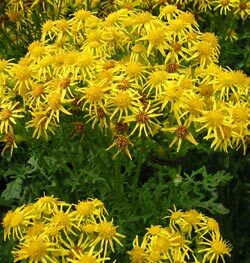 Ragwort is a common weed that grows throughout the British Isles. Ragwort and horses has always been a problem for horse owners. Ragwort thrives on wasteland, road verges and railway land and it easily spreads to grazing land and pasture. Recently though, it has become apparent that ragwort may be getting out of control and posing a real threat to the horse population. Poor quality & poorly managed horse pasture is prone to ragwort infestation. Ragwort and horses is a poisonous combination but so to is ragwort and ponies, donkeys and other livestock. Ragwort causes liver damage, which can have potentially fatal consequences. Under the Weeds Act 1959 the Secretary of State may serve an enforcement notice on the occupier of land on which injurious weeds are growing. BHS hoped to provide for a code of practice to prevent the spread of ragwort. The UK Government supported the Bill and the Ragwort Control Act came into force in February 2004. 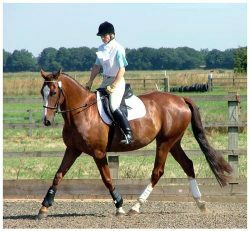 Defra worked with the British Horse Society and other stakeholders, including English Nature, Wildlife Trust and ADAS to produce the code of practice, which was launched at the Royal Show in July 2004. The occupier or landowner of land where ragwort is found growing is responsible for controlling this poisonous plant. Horse owners are often concerned about ragwort spreading from nearby fields or roadside verges onto their horse’s grazing, Defra advise that the horse owner initially approach the land owner/occupier to request that they take steps to prevent the weeds from spreading. Weeds Act 1959 – Complaint Form (WEED2/WEED2A). The completed form should be sent to: Natural England, Injurious Weeds, Customer Services, PO Box 2423, Reading, RG1 6WY. alternatively they can be contacted by email using: iss.reading@naturalengland.org.uk or by telephone on: 0300 060 1112. High priority is given to complaints where ragwort is encroaching upon land used for: grazing or keeping horses. Food pairings best with simply prepared red price topamax 50 mg meat..